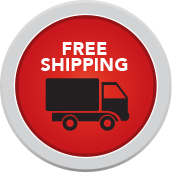 Valid on All UPS Ground Shipments Within the Contiguous 48 States. Note: Not all companies explain all costs and charges up front. Keep this in mind when comparing prices from one company to another. At Discount Tire Direct there are no hidden charges.